As you are attuning to your Divine Self, you begin to have a two way conversation and this may open the door to a greater opportunity to establish a stronger and more powerful connection. Continue this practice and write those conversations in your daily journal. Many times, your spiritual guides come through to give you messages and information about yourself and your connection with them. Sometimes, this information talks about your greatness and this is something that you will resist, thinking that you have connected with a false entity. With regular recording of the information that comes through including the dates it occurred, you will begin to discern the underlying message and develop a greater trust in the connection. These are the times when there is a greater opening to the higher realms of spirit and it is possible to communicate more easily with the spirit world. This is also a time that we, your spiritual Family of Light, can come through in greater intensity. Sometimes, the intensity can be too powerful to the receiver and this can shut down the channel of communication temporarily. Do not lose hope but try to relax and know that it will be restored again. Sometimes, we on the other side of the now thinning veil become very excited when the communication begins to take place and flood the recipient with too much information which they have a difficult time remembering and processing. Be patient with us and know that it is a learning process for everyone and some adapting may be necessary. The internal heat waves within each individual continue to occur on a regular basis. This is an ongoing process as the kundalini energy rises, going ever higher towards the crown chakra. Slowly and gently, this will take the recipient towards a fully opened and recalibrated chakra system which vibrates at a higher frequency. It is important for each individual to understand, that this is how one’s transformation occurs. This rising of the kundalini energy is something that used to happen to people suddenly and spontaneously and it would be a difficult and overwhelming experience for them. All of a sudden, they had to deal with any blocked emotions or energies within all the chakras that needed to be looked at, balanced and dissolved and most times, they did not understand what was happening to them. We are here assisting with this process because it occurs to everyone now, even those who are not consciously on a spiritual path. They do not understand what is happening and think there is something terribly wrong with them. Their emotions and feeling natures are intensely disturbing to them and they wonder if they need to see a mental health specialist. That is why we ask the seasoned and consciously aware Lightworkers of the world to direct the energy of love to the Earth’s grid system which everyone on the planet is connected to. 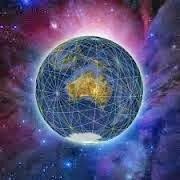 The energy of love connects to each individual’s heart chakra through the grid system wherever they are in the world. This helps each person weather the effects of rising energies. This is a service that is indispensable during these changing times. Please add your energies to it daily. 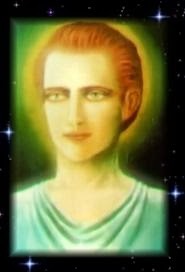 Send the pink ray of divine love often and see it spreading across the grid system so that it is readily available to all who need it. The energy of love is extremely powerful and can create miracles within the recipients that require this balancing and healing energy. This divine love pink ray energy is also absorbed by the planet and helps in her ongoing transformation as well. We are saying to you, Dear Ones, that what the world needs now is love and you have plenty of that within you, please share it daily.